When people outside the learning industry first hear the term gamification, they likely perceive it as another bit of insider geek terminology to keep them in the dark. A hard-boiled production manager might think: you want my people to play games instead of doing work? Dictionary.com’s definition of gamification isn’t enlightening. Not surprising…it is jargon. gamification [gey-muh-fi-key-shuh n] noun: 1. The process of turning an activity or task into a game or something resembling a game. But as gamification begins to see use in functions other than learning, it may become a part of the business lexicon. The use of game elements in motivating people to learn has been with us since ancient times. More recently, millions of people learned how to click and drag using Microsoft’s free solitaire games in the new Window environment. 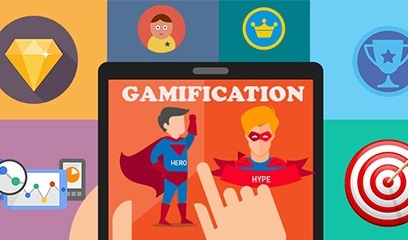 But the term “gamification” is a recent invention related to the use of technology to deliver the experience, and word didn’t become common until 2010. The practice of using game elements has already passed the hype and fade stages of adoption and is beginning to show signs of robust growth. 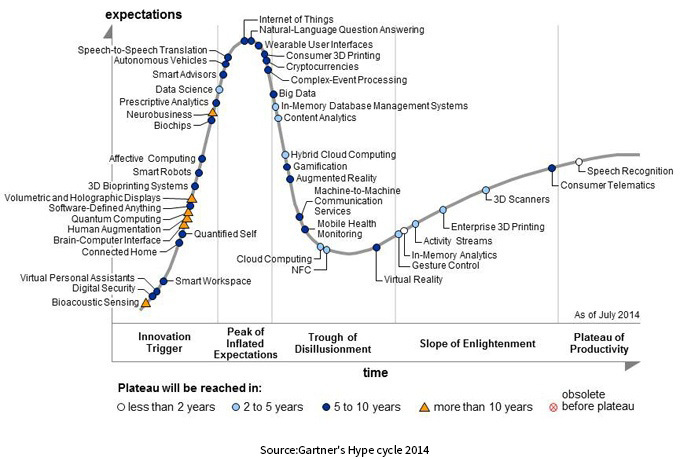 We may have passed through the trough of disillusionment stage of the Gartner Hype Cycle and started to see productivity measures that prove the value of using gaming techniques in learning. As Zac Fitz-Walker explained in his Brief History of Gamification, We may have passed through the point where funding was available for inferior products, and the technology and practices are maturing. “Gamification Improves Work Experience for 91% of Employees, Increases Productivity Across U.S. Companies.” Badgeville. August 6, 2015. Retrieved December 9, 2015. We do see some results using game elements in training. 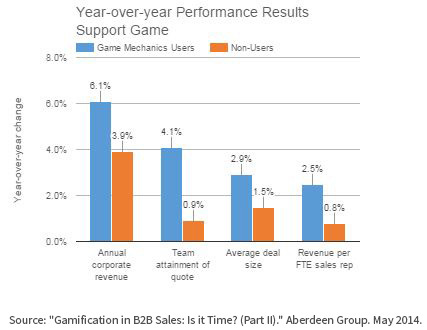 In a study of B2B sales organizations, the Aberdeen Group analyzed the performance of organizations who use game mechanics and gamification technology solutions against those who don’t. In the industry leaders, 84% of sales reps made quota, versus a 55% industry average and only 16% for gamification laggards. And game mechanics users had a 6.1% increase in revenue over laggards. Gamification is finding its way into areas other than learning. Companies are using gamified onboarding, and we see growth of gamified assessment in talent acquisition, but we haven’t seen published metrics yet. 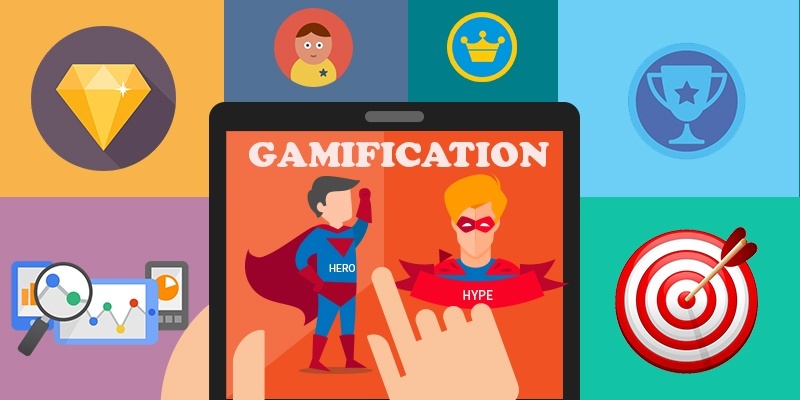 A word of caution: gamification is not a solution, it’s a platform – or you can think of it as a way to deliver content to make it more engaging. But coupled with disciplined behavioral targeting and spaced repetition, it looks like a powerful tool. Pixentia is an enthusiastic team of individuals, fervent to make lives simpler through effective use of technology. Our mission is to implement solutions that drive business results. Know more insights from our thoughts and experience.